Acne is a skin disease affecting the hair follicles. Increased stickiness of skin cells causes a blockage of the follicle leading to formation of black heads and white heads. These, if allowed to remain, extrude within the skin and the material released causes a skin inflammation that shows as red boils. These in turn get infected by normal resident bacterial flora on the skin and cause pustules and later sebaceous and skin cell degeneration can cause cysts. The sequelae to acne at any staging can result in unwanted scarring which is totally undesired in dark skin types because it limits the treatments that can be used. The resulting appearance can lead to anxiety, reduced self-esteem and in extreme cases, depression. Treatment options of Acne include life style changes, medications, cosmetic and medical procedures. A detailed consultation and examinations help us to decide the line of treatment for our patients. We offer the following procedures as an adjuvant to medical treatment as scars and pigmentation is a challenge in skin types. The concept of chemical peels started with Cleopatra who used sour milk containing lactic acid for her beauty baths and French women used old wine which contains tartaric acid for bathing. Chemical peel is a type of micro exfoliation not necessarily involving visible skin peeling. It repairs damaged skin by stimulating collagen, lightening pigments and moisturising depending on the chosen chemical and also the depth of the Peel. This causes the skin to glow, causes considerable smoothening and stimulates both regeneration as well as rejuvenation. Chemical peels for acne are salicylic-based peels. Other noteworthy peels are combination peels such as Lactic acid, Alpha Hydroxyl Acids and Retinol which help reduce sebum production, have anti-bacterial effect and de-clog pores which reduces acne formation. Lasers which are non-ablative, collagen regenerating and antibacterial are used in our clinic to treat various stages of acne. Red lesions and broad scars are treated differently than deep scars and pores. We combine different lasers sequentially and at times use Dermarollers, Derma pen or even Fractional Radiofrequency to treat different manifestations of acne stages and also active lesions. Our aim is to simultaneously treat internally and externally as to achieve not only an improved appearance but also control over the disorder. It’s a challenge especially with concomitant hormonal imbalance and also darker skin colour. We combine lasers with Rejuvalight which is a FDA approved phototherapy for mild to moderate acne wherein a very particular wavelength of UV light is used to kill the bacteria that causes acne and at the same time soothe the skin. This therapy is safe with no adverse side effects. It is a cheap and painless method which is gentle on your skin. Comedone extraction commonly known as a clean-up involves removal of blackheads and whiteheads. Here it is important to do a complete extraction and not a whitewash removal with suction machines which actually leaves a part of the material within the pores and causes inflammation. We prefer manual extraction using sterile needles to widen the opening, not cut, and sterile manual squeezing of the lesion. Difficult folds at times require an extractor which is sterilised. Post Procedure we use soothing cold packs and ice followed by antibacterial and soothing masks and creams. 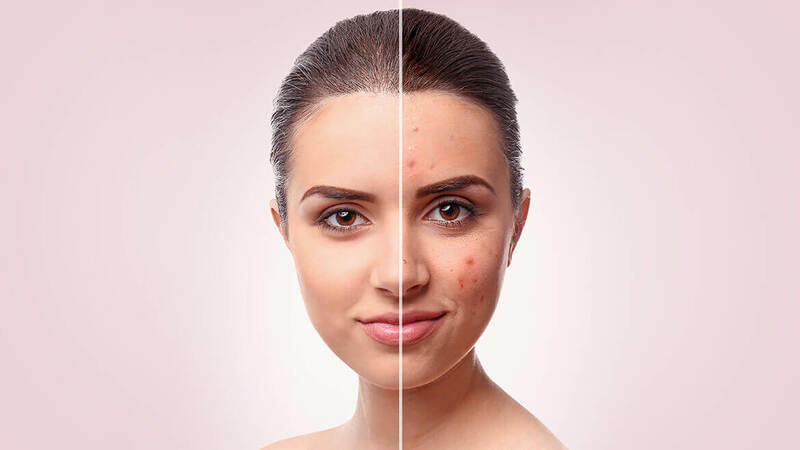 This is not done as a standalone procedure as practised by a majority of beauticians, but as part of the ongoing treatment of acne only as required.